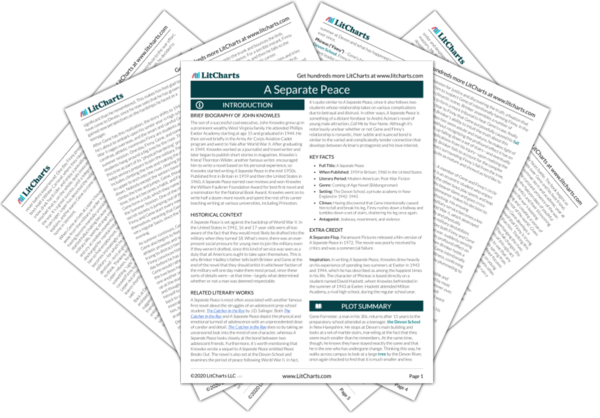 Instant downloads of all 946 LitChart PDFs (including A Separate Peace). 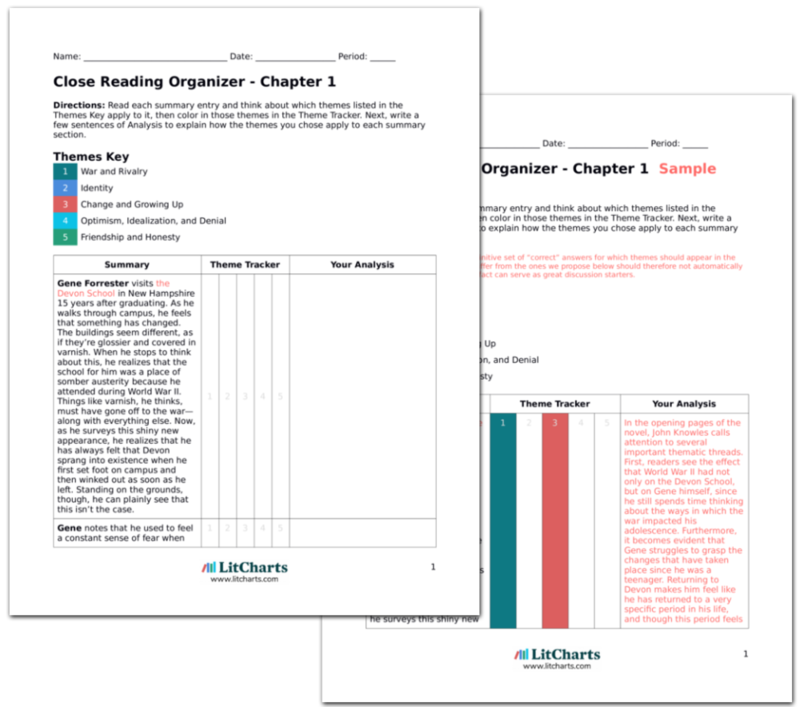 LitCharts assigns a color and icon to each theme in A Separate Peace, which you can use to track the themes throughout the work. When Gene returns to Devon fifteen years after graduation, he looks at the tree from which Finny fell and thinks, "The more things stay the same, the more they change." The tree looks vastly changed only because Gene's perspective has changed as he grew up and became an adult. A Separate Peace is the story of this changing perspective, of how things both change and stay the same. 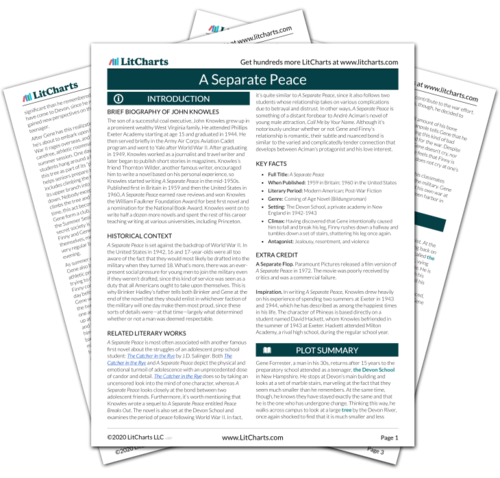 Get the entire A Separate Peace LitChart as a printable PDF. Kestler, Justin. "A Separate Peace Themes." LitCharts. LitCharts LLC, 22 Jul 2013. Web. 1 Jan 2019. Kestler, Justin. "A Separate Peace Themes." LitCharts LLC, July 22, 2013. Retrieved January 1, 2019. https://www.litcharts.com/lit/a-separate-peace/themes.